With regard to the increasing spread of information technology in the world, access to this technology is of great importance. Due to their competitive advantages, open source software are more popular than the close ones and they are more widely used, as well. Having an appropriate process for migrating, identifying and ranking activities to prepare and perform the migration design in the organization, prevents the failure of the performance in organizations. Today, there are lots of migration processes in review of literature and this will confuse the managers to choose the most appropriate process for their organization. 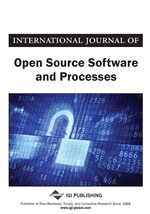 This article studies the presented processes of migration to open source software in the world and by presenting novel factors. It also attempts to introduce an appropriate framework to select the most efficient process in migration to open source software. So that organizations do not have a concern to choose the best migration process and IT managers are able to select the appropriate process for their organizations quickly and with no confusion. Today, unpredicted and hidden expenses of software are known as “software crisis”. Software maintenance cost is considered as the main component of software engineering costs and according to the studies, between 50 to 90 percent of software projects expenses are spent on this cost (de Vasconcelos, Kimble, Carreteiro, & Rocha, 2017; Seifzadeh, Abolhassani, & Moshkenani, 2013). Therefore, software maintenance and software systems promotion issues are of great importance. As a solution, numerous studies have been conducted on the subject of software migration from migration to service-oriented architectures (Athanasopoulos, 2017; Fuhr, Horn, Riediger, & Winter, 2013) to migration to cloud (Bisbal et al., 1997; Botto-Tobar, Ramirez-Anormaliza, Cevallos-Torres, & Cevallos-Ayon, 2017; Fowley, Elango, Magar, & Pahl, 2017; Gholami, Daneshgar, Beydoun, & Rabhi, 2017; Gholami, Daneshgar, Low, & Beydoun, 2016; Kesserwan, Dssouli, & Bentahar, 2018; Mohagheghi & Sæther, 2011). One of the types of migration is the migration to open source software. The monopoly and information dominance of close source software providers have led countries to follow the approach of using open source software only in private sectors (Pouresmaiel, 2014). Before any measure can be taken in order to migrate software systems, that migration process should be justified and adopted by target organization. While there are extensive studies in the field of migration adoption (Chau & Tam, 1997; Hauge, Cruzes, Conradi, Velle, & Skarpenes, 2010; Jokonya, 2015; López et al., 2016; Mindel, Mui, & Verma, 2007; Murphy & Cox, 2016; Silic & Back, 2017; Tapia, López, Ayala, & Annosi, 2015; van Loon & Toshkov, 2015), the current study assumes that the migration process is adopted by the organization; and therefore, it focuses on the actions the organization should perform after that decision. Recently, the replacement of proprietary software with open source one has been increasing in government agencies and software companies (Sarma, 2016). In Iran, the government has officially begun the development and promotion of open source software since 2000. After some cyber threats, the government has identified the migration to native and open source software as one of the ways to secure computer systems (Pouresmaiel, 2014). Open source software is introduced as a method of software development, so that by encouraging others to collaborate on software development, the software usage can be maximized (Lee, Kim, & Gupta, 2009; Subramaniam, Sen, & Nelson, 2009).